I'm new to Raspberry pi and electronics in general. 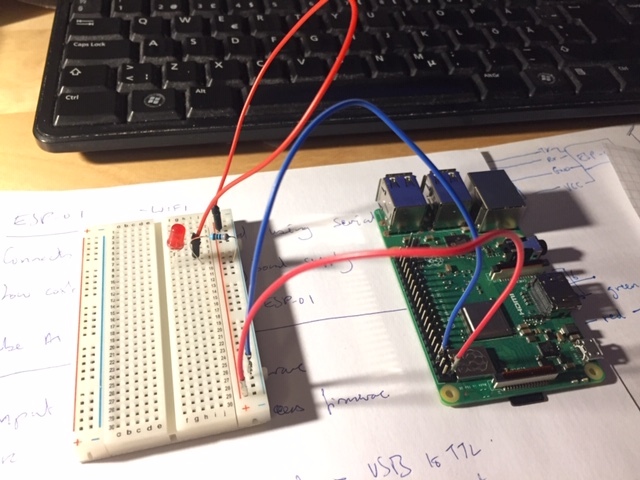 All worked fine (a node webserver, reading a DHT22 sensor) then I tried this tutorial - https://www.raspberrypi.org/magpi/breadboard-tutorial/. It didn't work, and now neither does my pi. No console, no ethernet, no wifi; I can't get in. I imagine I've done something wrong when following the tutorial - can it be that I wired everything up with my pi switched off, then switched it on? Can the LED have been the wrong way round? Is it possible to diagnose/recover the pi? That could, as Ron S. points out in the first comment, mean just a corrupted card. On an undamaged pi (most models, at least), if the green led doesn't light at all, either there is no card inserted, or else it is completely rejecting it (== corrupt boot sector). If you attach a monitor and get the big rainbow square, that would be good news as it is consistent with this this possibility. Conversely, if you don't, it is likely a bad sign. I don't see anything in your photo that is wrong. I can't tell whether the LED is the wrong way round but that is not dangerous. In this case no, but in general, until/unless you understand the circuit you are experimenting with and the default boot state of the pins you are using, detach anything you are uncertain about when cycling the power. The image, as shown, will do nothing - because there are no connections. You appear to have a LED between 3.3V and Gnd - SO when powered it should glow - if not try reversing it (nothing will be damaged). 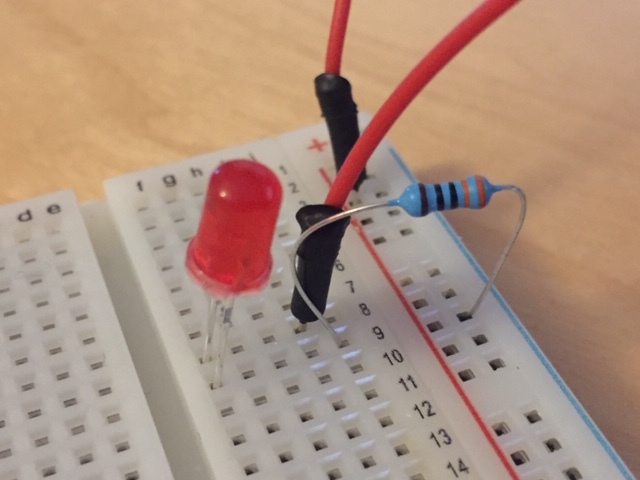 You could try connecting to 5V to test if the LED is OK. If it still doesn't glow you have probably blown the 3.3V regulator. This would be due to a short or some other cause (like using a bare board on a conducting surface). In this case the Pi is likely dead! A multimeter would enable you to confirm if there is no 3.3V on the pin. Not the answer you're looking for? Browse other questions tagged raspbian led pi-3b+ or ask your own question. Why did my Pi die? How can I set up a chain of these RGB Smart Neopixel LEDs? VNC: how to manage a fleet of RPi? Can I delete the “~/.cache” file? How to recover 'deleted' microSD card space?